SO MUCH YARN, SO LITTLE TIME! : Bobble without turning your work. Bobble without turning your work. 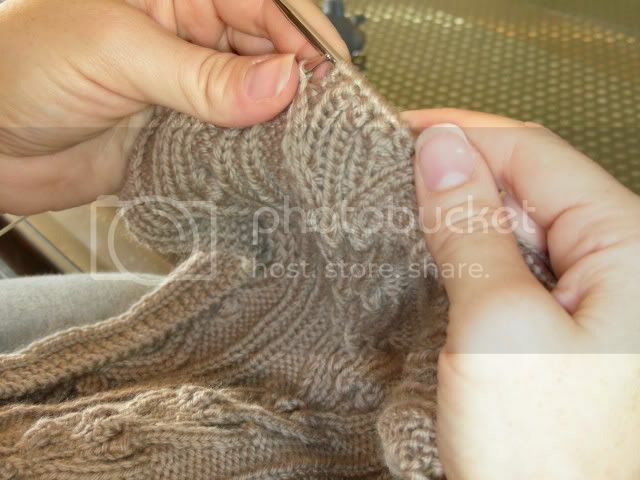 Transfer these 3 stitches (or 5 sts) back to your left needle as if to purl, keeping your yarn in back. 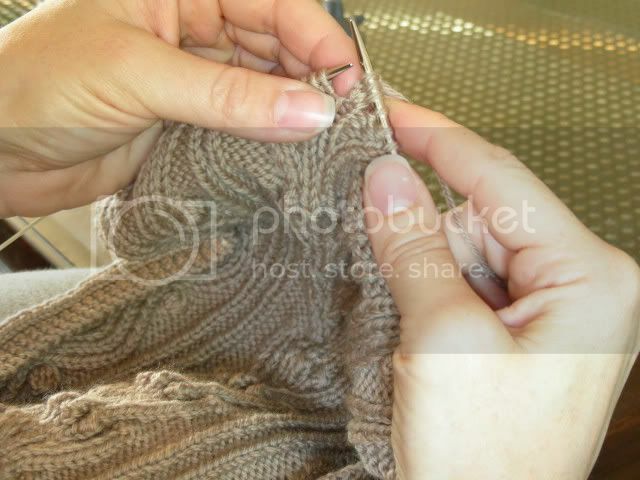 Starting with the second stitch from the point of your right needle, pull the stitches one at a time over the first stitch and off your right needle. Voila! You now have a new time saving technique under your belt! Thanks so much! I was just getting ready to ask you how you did it on your last post! Thank you! 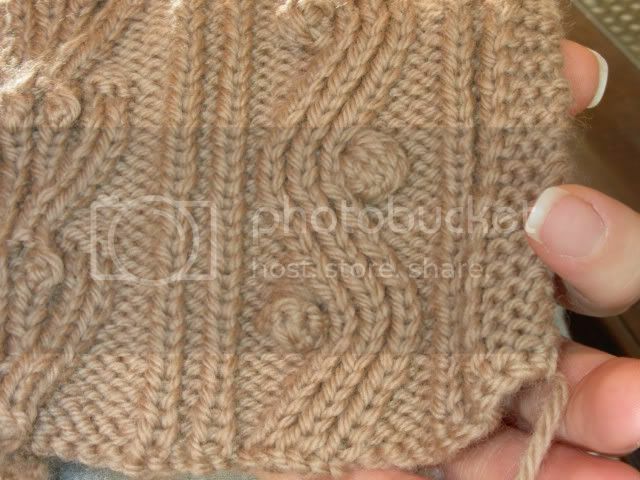 This will be filed in my folder along with knitting backwards and cabling without a cable needle! 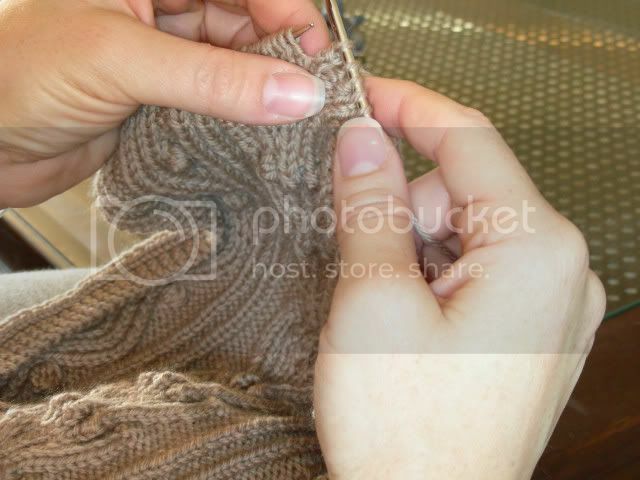 Remember what you said about yarn from elann? I just got some Devon (on a tip from you, of course) and... it totally smelled like rotten cabbage trash when I opened the bag! This is the first time I'm noticing it. Maybe it's just their house brand, or something recent? Slick! How cool is that! Thanks for showing it. awesome. what a great trick! i love bobbles, but they always slow me down. not any more, thanks to you! Thanks! I have the book, but you photos are great. Thank you, this is useful as cable without a cable needle. You can put them as a tutorial on you sidebar. Great tutorial! I checked out the hat in Knitting Nature after your last post...was a little confused by the bobble directions, but no longer-thanks! Dang nice of you! Thanks for taking the time to share that groovy trick. That yarn looks so beautiful. And of course your work is perfect as always! Thanks for the demo on the bobble! 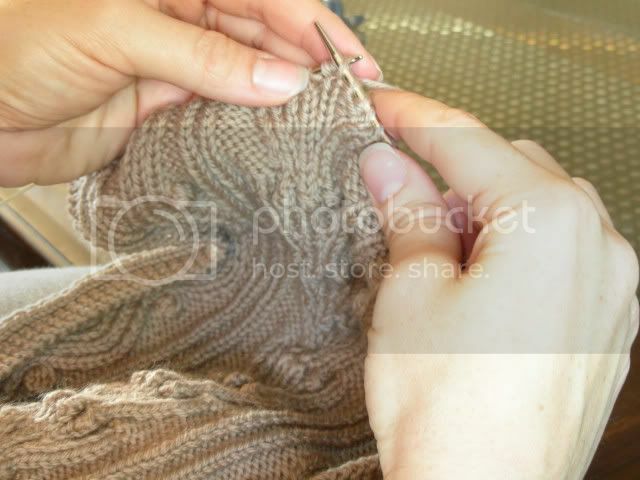 The yarn from Knit Picks is impressive for this piece, and your knitting is impeccable! Thank you for sharing a new way to handle bobbles! So it's sorta like an i-cord bobble! Thanks so much! 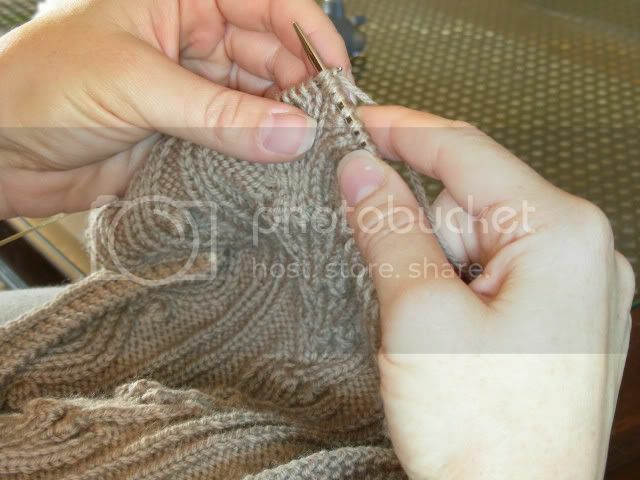 My current project is bobbly, and cabley, and though I haven't mastered the cabling without cable needle thingy, this will certainly save me time! Delurking to thank you for posting this! Thanks! I love when I dont' have to turn the work - saves time and wrist wear and tear! Thank you. It looks a lot neater version too! I am deeply impressed with your post on the recipe. This post is one of the best in all. I belief in this site. The entire user in this site was posting their notice about the post so great.